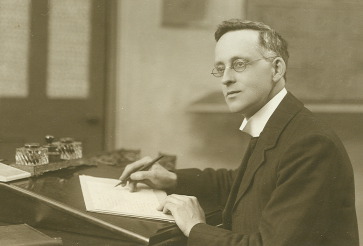 Willie Riley (1866-1961) was born in Laisterdyke, Bradford. He was educated at Bradford Grammar School, then initially joined his father's Stuff business, based in Cheapside, Bradford. 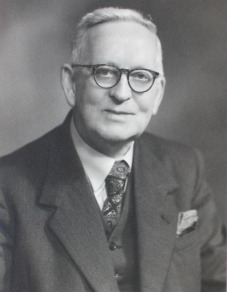 He eventually became Managing Director of Riley Brothers Optical Lantern Company, which was an international mail-order company with an office in New York. During this period his company became involved in the early development of the moving image, in association with Bamford's of Holmfirth. He was a Methodist local preacher for 75 years and was also a major lay figure in northern Methodism. He was a proud Bradfordian, and also loved the nearby dales and the dales people. In 1911, because some young friends were in distress, he wrote, purely for their diversion, a story set in the nearby Yorkshire Dales. Never intended for publication, once the story was complete his wife and the friends, considering his novel to be so very good, urged him to submit it to a publisher. He did so, against his better judgement, and the newly-formed firm of Herbert Jenkins chose it to be their first published book, in 1912. The novel was called Windyridge . To Riley's surprise it was an immediate best-seller. Then, after his optical business collapsed in 1914, he turned to writing full-time. Over the next 47 years he published a total of 39 books, including over 30 novels, nearly all set in the Yorkshire Dales. However, he was always to be remembered especially for Windyridge , which remained his most famous and most popular novel, selling up to 500,000 copies. There are houses all over the world, as far as Australia, named after this famous story. Almost all of his books were published by Herbert Jenkins: two others were published by Epworth Press and one by The Dalesman. 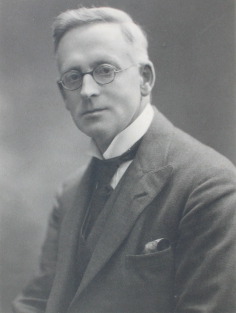 In 1919 he moved to Silverdale in Lancashire, for the sake of his wife's health. Clara was always delicate, and had nearly died during the great influenza pandemic. The doctor's advice was for her to leave the smoky atmosphere of Bradford. He continued to write, averaging a book each year. In addition he was a widely sought-after lecturer, and wrote articles and short stories for both the secular and religious press. Particularly between the two World Wars he was an internationally known and popular best-selling author, and many people came to visit him in Silverdale. In 1929 Clara died, some six months after a fall, at the age of 65. Riley eventually married again, in 1932. His new partner was Edith Mary Berry, who lived close by and had also been widowed, at about the same time as Riley. His book The Silver Dale , published in 1932, which leads the reader through the delightful countryside around the village, is dedicated to her. Initially the Rileys lived in a house up a hill at the northern edge of Silverdale. However, with advancing years the walk up to the house became too much, and Willie and Edith moved into the centre of the village in 1950. He wrote his autobiography, Sunset Reflections , at the age of 91 in 1957. His last novel was published in May 1961, and he died at the age of 95 on 4th June 1961. His death was widely reported in both national and regional papers. However, after his death he has become almost completely forgotten even in his native Bradford. 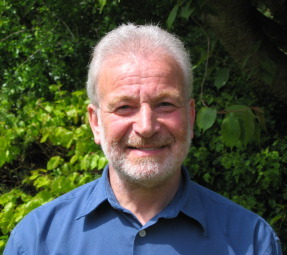 In 2009, David M. Copeland, who has been studying Riley for over 20 years, completed a two-year Master of Philosophy degree at the University of Bradford about the life, works and legacy of W. Riley. His thesis, ' From Bradford Moor to Silver Dale ', is available for consultation at the University. 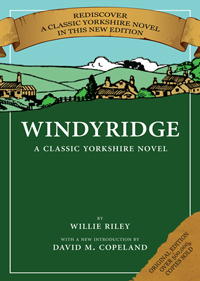 Copeland has recently written a long introduction to a new edition of Windyridge , published by Jeremy Mills Limited, of Huddersfield, in their 'Northern Heritage Publications' imprint. The book is available in both hardback and paperback versions and can be purchased on-line or from your local bookseller. In due course the W. Riley Archive, comprising scrapbooks, notebooks, photo albums, lecture notes and other ephemera, will be set up at the Special Collections Department of the J.B. Priestley Library at the University of Bradford. There is also a large collection of Riley's books available for inspection there. Copyright © 2009, 2010 David M. Copeland. All Rights Reserved.